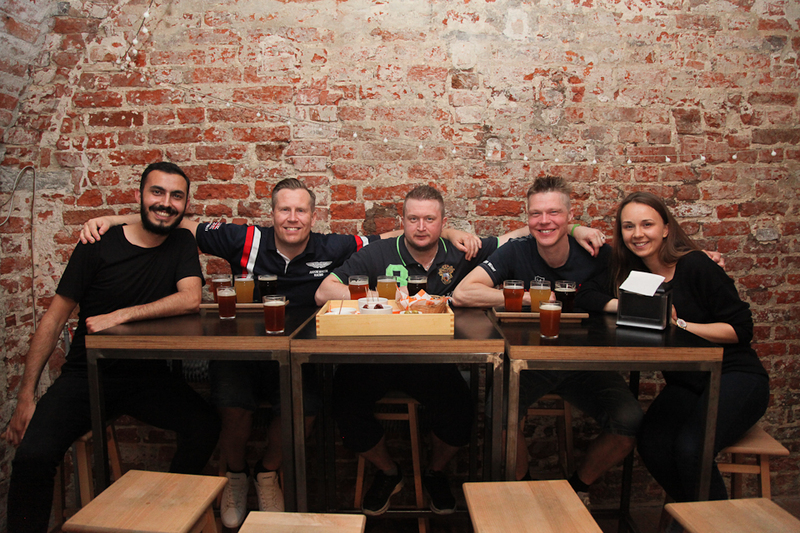 Join us on Warsaw Craft Beer Tour and get to know Poland’s burgeoning craft beer scene while sampling beer from some of Poland’s best microbreweries. 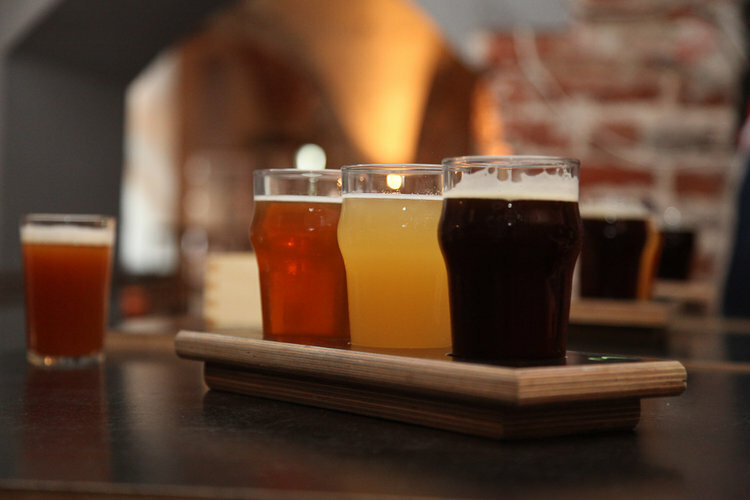 WHAT IS WARSAW CRAFT BEER TOUR? Craft beer is meant to be enjoyed and this is not a pub crawl. Sure, we’ll be drinking beer, but this tour is about more than that. Craft beer is experiencing a huge rise in popularity and it isn’t just a fad. There’s a lot of thought, effort, and knowledge needed to brew great beer. In Poland, it seems like people just can’t get enough and new craft beer places are opening all the time. In Warsaw, this can actually be quite overwhelming. So, if you’d like to get a taste of the best Polish craft beers, not just the trendiest, we invite you to join our tour. We’ll share out local insight, Polish culture and our favorite breweries with you, making sure you get to sample high-quality beers that have been brewed with care. Over three hours we’ll share our three favorite pubs with you, each with a great selection of beer. And we’ve got something for everyone. Are you a craft beer expert? Great! Because we’ve got a great selection of unique, small-batch beers for you to try and we’ll tell you all about what makes each one special. Are you new to the world of craft beer? That’s fine too! We’re sure you’ll leave this tour with a better understanding of how different beers taste and are produced. 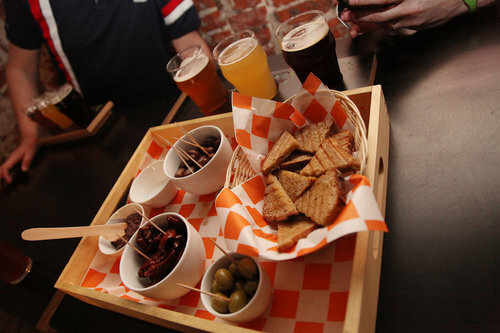 Though we’ll be sampling a selection of great beers on this tour, the goal is to enjoy the drink, culture, and company. The goal is not to get drunk and this is not a pub crawl. This tour is all about enjoying the tastes, smells, and stories of each different beer. Drinks will be accompanied by light snacks and good conversation. Over the course of three hours we’ll visit three pubs and sample ten delicious craft beers. Don’t miss out on this opportunity! Guide – You will have a guide who is passionate about craft beer and knowledgeable about different styles of beer, the brewing process, and the culture of beer drinking in Poland. Pubs – We will visit 3 different pubs that serve Polish craft beer. You’ll discover hidden gems that you might never find on your own. Beer – Our degustation will consist of 10 different craft beers, and we try to save the best for last! Snack – You will be served light snacks (in some of places) that pair well with the beer. Tips and Advice – Your guide will give you our foodie map and some personalized recommendations for how to enjoy the rest of your stay. We’ll tell you about some more great local spots to visit for food, entertainment, and sightseeing. Summary – Each guest will get a summary of the tour to help you remember the places we have visited and the beers we have tried. We can accommodate more than a group of 12 people on our tour. Please contact us if your group is larger than 12 people. This is not a pub crawl. Our focus is on the quality of the beer, not the quantity. If you have any allergies, we need to know. Please tell us about any allergies ahead of time.